This means, that I still have 122 objects of these catalogues that I can observe from Finnish latitudes and 65 such objects, that I have to observe them from some southern location. My dream is, that I could complete observing these catalogues some day, including the southern objects! 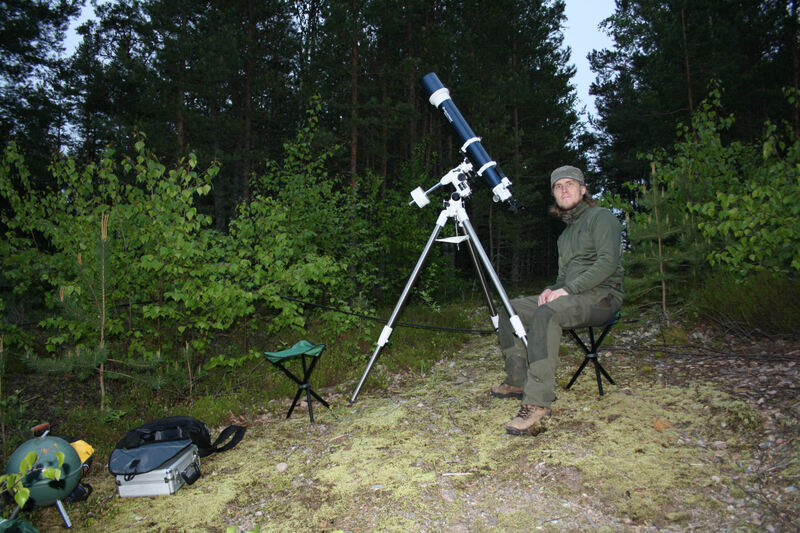 But I’m already planning what to do after having completed this observing program, at least to the extent it is possible in Finland. So there are two steps in this mission: 1. observe all objects that are observable in Finland, 2. observe those objects, that can be observed from a southern location. I will now consider only the first step of this mission, and what to do after having completed it. The second step is going to be another sub-mission, and I will deal with it later. It would take me about 2 observing seasons to complete the first part of the mission. During season 2017-2018 I would observe Caldwell, Hidden Treasures and Herschel 400, and I would most likely complete Caldwell and Hidden treasures. During season 2018-2019 I would still have Herschel 400 objects to be observed, but those would all be in the Spring of 2019, and then I could complete Herschel 400 by the end of that observing season. Then I would need to find something to be observed in Autumn 2018. That could be a suitable position to launch my next endeavor, whatever it would be. I feel that after having completed my current deep sky observing program (Caldwell, Hidden Treasures and Herschel 400, part I: objects observable in Finland), I have climbed to a top of one mountain, or at least to a side peak of a higher mountain! When I’m at that point, I feel that I can start climbing another mountain, and leaving the highest peak of the first mountain (Caldwell, Hidden Treasures and Herschel 400, part II: objects observable from a southern location) to be conquered at some other time, when the time is right. Now I have plenty of options where to choose from! All of them are familiar at some level, but I would just go deeper into them. Most of these options have something to do with observing, one of them is something that would seriously test my skills as a writer. For now, I will leave this open question. Time will tell, to which direction my intuition is leading me from where I’m now!